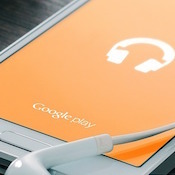 One of most powerful features of mobile devices in general and Android devices in particular is their ability to provide location-based functionality. 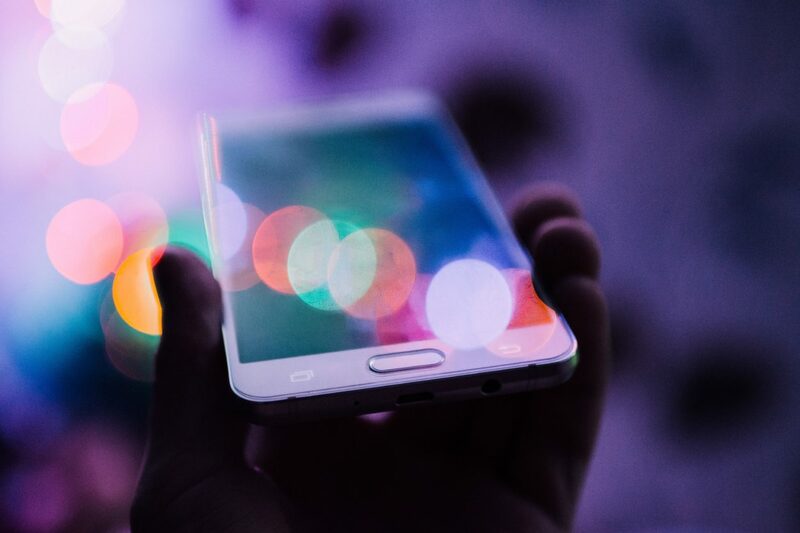 However, before you can take advantage of these features in your apps you need to be able generate these events in your Android development environment. 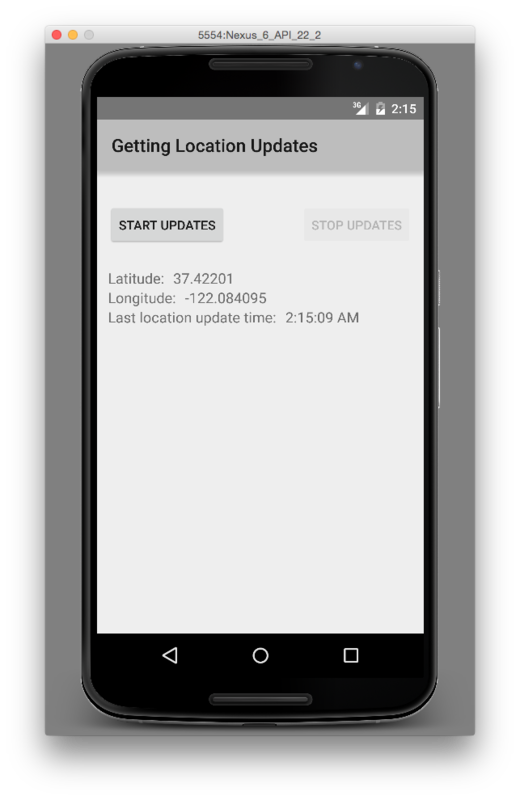 This article discusses how to enable location-based services in an emulated Android Phone and how to send location events from Android Studio. 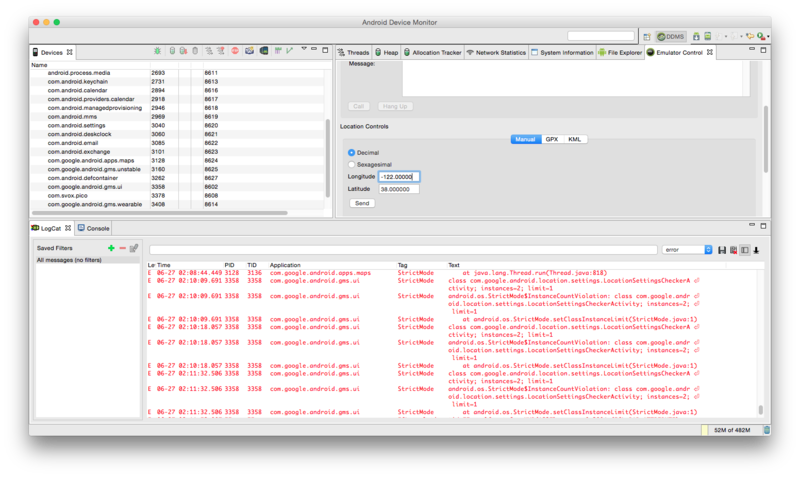 Particularly important for this sample are the System Images targeted at the Google APIs. 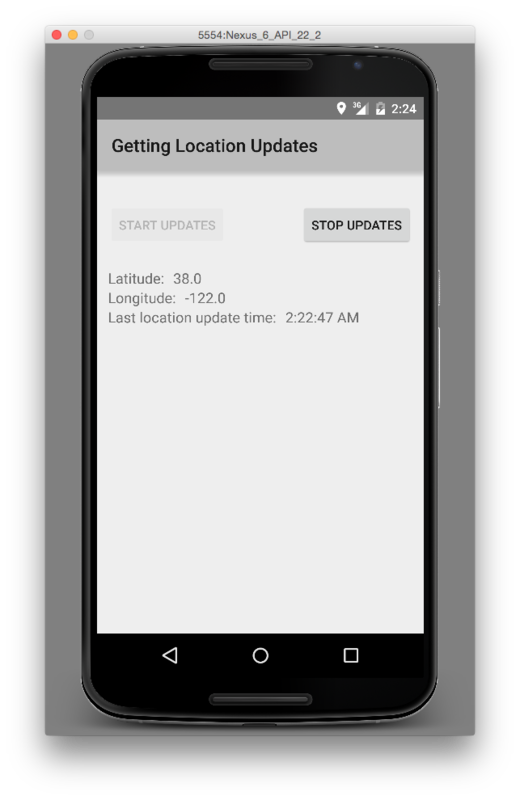 Those system images are loaded with the Google Location APIs in place that we need for testing location-based applications. 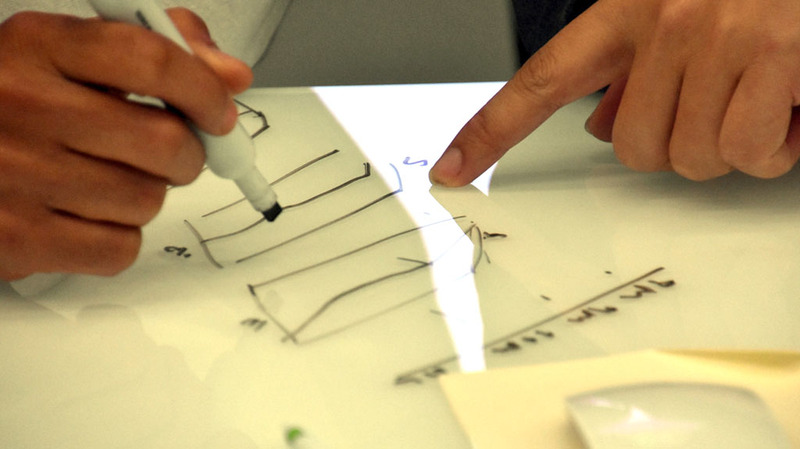 There’s not much you can do if you don’t have the right APIs loaded into your images — they’re virtual paperweights so to speak. 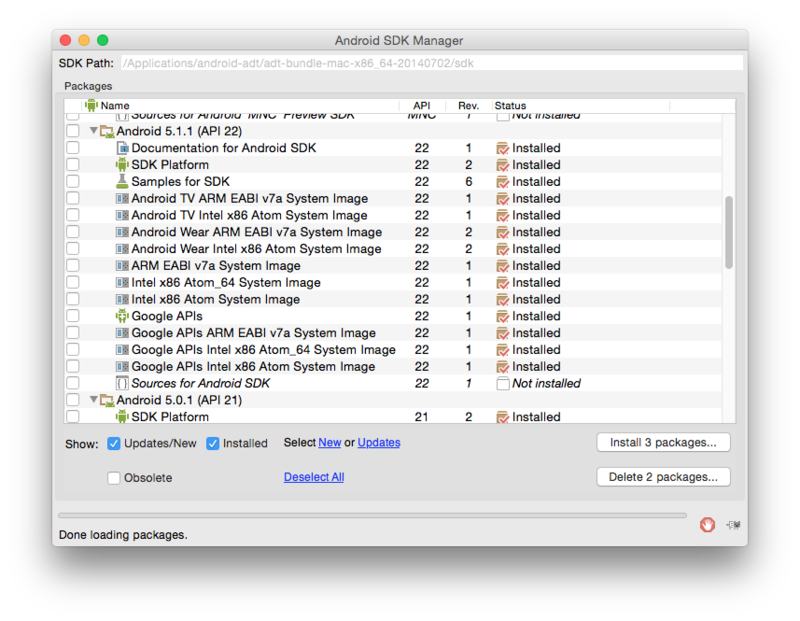 Once you’ve imported the app into your development environment, you’ll want to build the project. 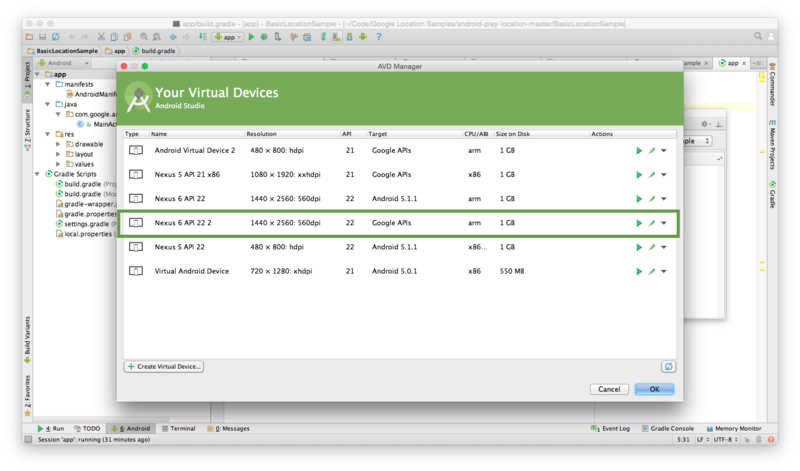 Use the Android Device Manager (AVD) to create a virtual environment to display your location events. 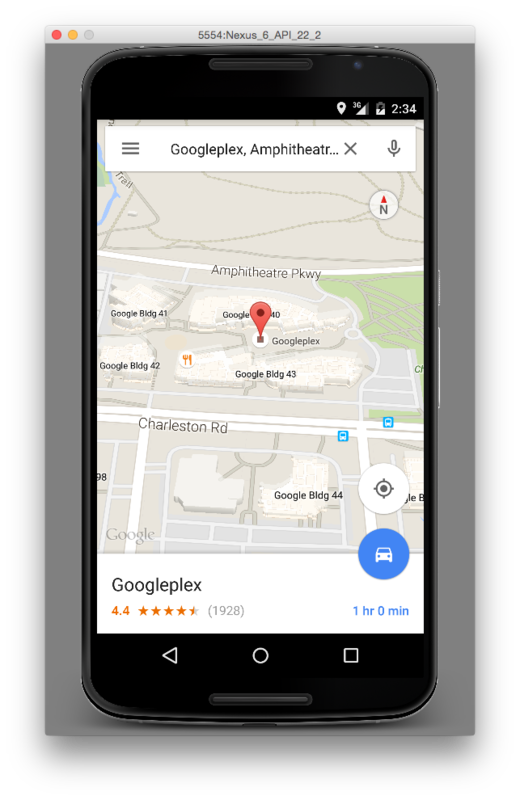 To validate that location-related services are available on your virtual device, you should start up Google Maps. I always feel better when I see the little red hotspot symbol in the toolbar. Clicking the target will focus the map on the location where you phone thinks it is.